The Original California Car Duster® is the original car duster and still the best car duster! Literally works like magic. 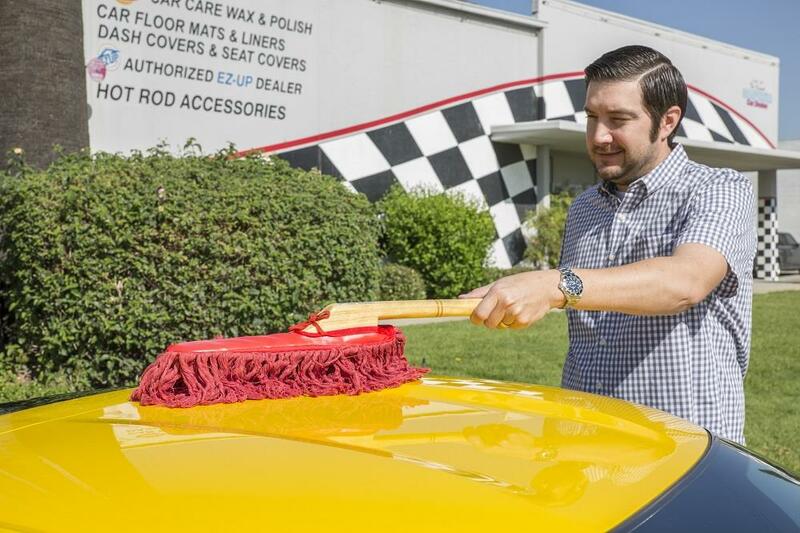 The Original wooden handle California Car Duster 62442 utilizes the proven technology of baking a special wax into 100% cotton strands to assure that dust is lifted and removed, not just pushed around. 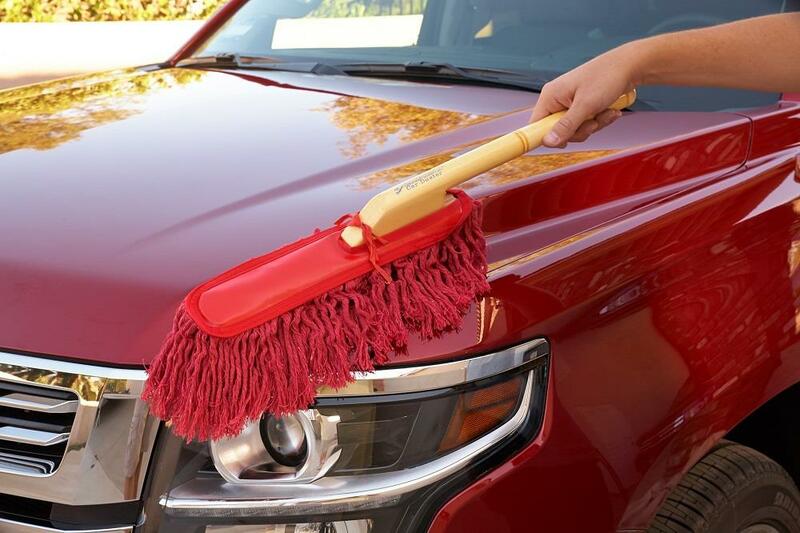 The Original California Car Duster® gives cars the appearance of looking just washed. Will reduce the number of car washings, so you'll save water and other natural resources. The traditional, classic wood handle, and heavy duty mophead are preferred by car show entrants and enthusiasts across the world. Each California Car Duster includes a carrying case. Don't be fooled by cheap imitations that will move dust around and scratch your paint! Always look for and purchase the Original California Car Duster brand. Does The Original California Car Duster scratch paint? The answer is no. 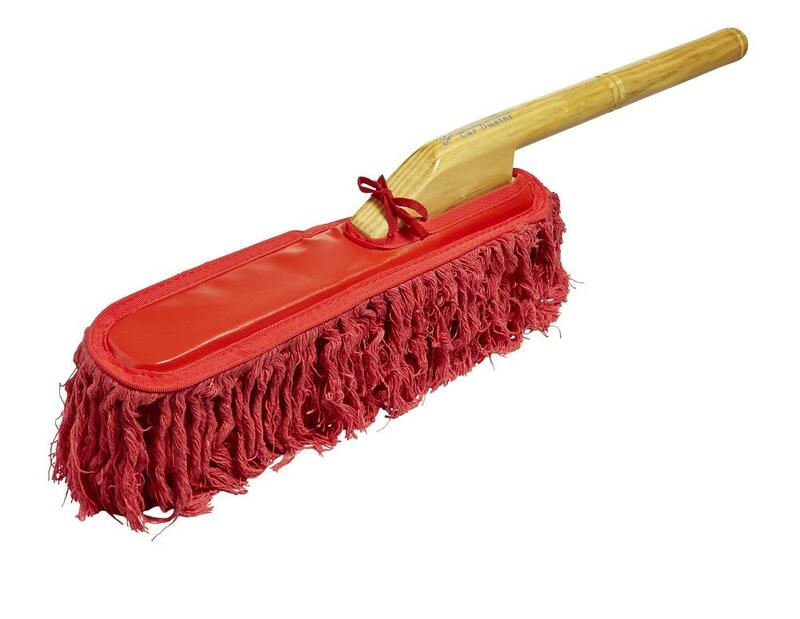 The cotton mop is very soft and has a special baked in wax that lifts the dust up and off of your paint instead of moving it around and that is why a California Car Duster does not scratch. Can you wash or clean The Original California Car Duster? The best way to preserve your California Car Duster is to simply shake it out after each use to get rid of any loose dust particles. You may also blow the car duster mop out with an air gun from time to time as well. You may wash your duster but often times it can take some of the wax treatment out of the cotton and they may not work as good after the washing. How long does a California Car Duster last? Most owners and users of The California Car Duster have reported to us that they typically last in the 15 to 20 year range. Quite an investment for the price and time savings. Since 1989 the Original California Car Duster has been the source for premium car care and detailing products. The signature California Car Duster and California Jelly Blade have been go-to products for enthusiasts and detailing professionals alike. Actually the California Car Duster can go years without washing and in most cases works just as well as the first day. It is best to simply shake the duster out after use and on occasion blow the mop out with air. From most customer experience their dusters have lasted in the range of 15 years. 1. Wash the duster by hand, leaving the mop on the handle. 3. Rinse clean with fresh, cool water.